IMANI Alert: How Realistic is the Action Plan for Achieving India-Africa Forum Objectives? The CPPR-Atlas Public Policy Challenge 2015 held in the month of August presented a golden opportunity to young dynamic minds in India to create a policy brief and hit the jackpot: a chance to win a sum of Rs 30,000 and Rs 20,000 respectively. From across the country, 69 participants accepted our challenge and sent in policy briefs which were reviewed by us. Out of them, the top ten entries were chosen by our esteemed panel to participate in a training workshop hosted by us in Kochi, Kerala. 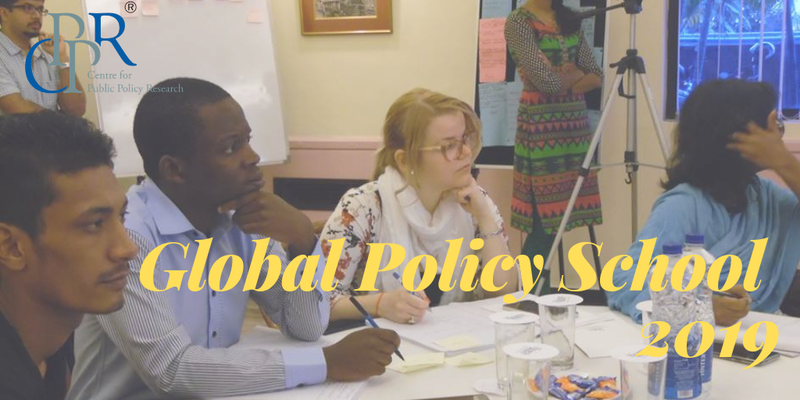 At the end of the training workshop, which involved extensive rewriting and editing, each of the participants submitted revised policy briefs. The Centre for Public Policy Research commends and thanks all participants for their effort and time. The jury has noted your enterprise, and feels you all have the potential to be great policy makers of the future. Now, it’s the time to announce the names of the participants who passed the challenge with flying colours. We award the 1st prize to Mr Ranjeet Rane and the 2nd prize goes to Mr Mathew John for their exemplary performance in the CPPR – ATLAS Public Policy Challenge 2015.